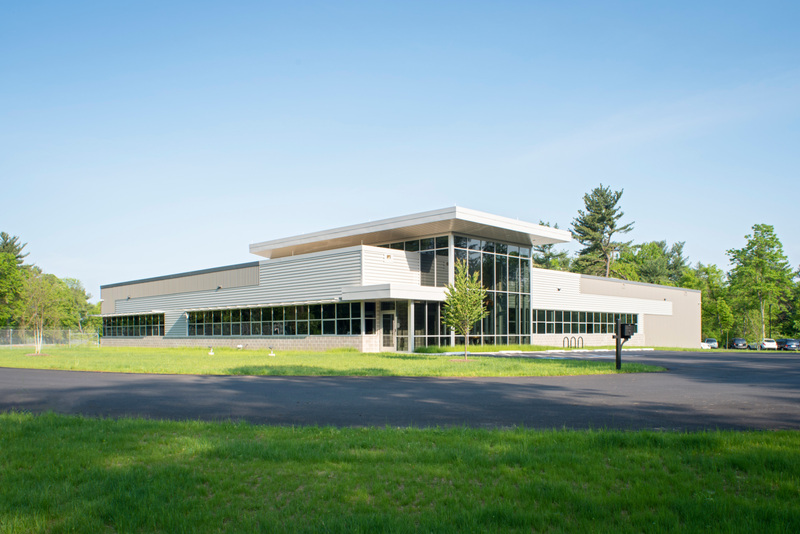 By using the city’s requirements for energy and operational efficiency as our guideline, we developed a design for this new facility building that includes systems and materials based on life cycle costs. We recommended a composite structural system with a pre-engineered steel frame for the truck portion of the building. For the office and shop portions we added a mezzanine for storage and designed for a future second floor to accommodate future growth without additional ground level expansion. 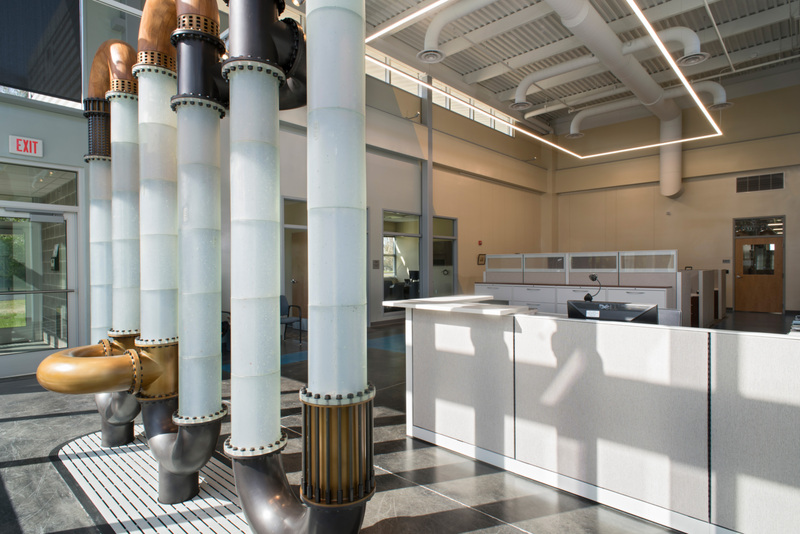 Though the structure/surrounding contrast may seem stark, the City of Lancaster's new Water Bureau Building retained the existing trees and forest as a key component in storm-water management design that ensures a low environmental impact. The Lancaster City Public Art Advisory Board commissioned artist Sean Mercer to create a permanent art structure to be housed in the water department building. This piece illustrates the homage to the beauty of the materials of yore as the movement speaks to the futurism involved in industry design.